People who suffer with allergies in the autumn months have been warned over trips to Oklahoma. Oklahoma has often been described as among the US' worst places for such allergies, which are caused mainly by ragweed pollen. Oklahoma City and Tulsa have been ranked 5th and 10th respectively in a poll of the worst cities for fall allergies conducted by the Asthma and Allergy Foundation of America. 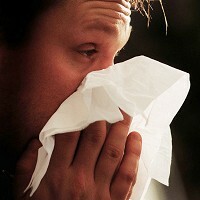 Britons susceptible to allergies should grab a good medical travel insurance policy before visiting Oklahoma. They also need to limit exposure to the outdoors at this time of the year. Oklahoma Medical Research Foundation immunologist Hal Scofield said: "With this year's drought, allergies are likely to be worse than usual, as plants will spread more pollen to improve their chances of reproduction. So fall allergy sufferers will want to be extra vigilant."